Perfect images – for perfect bestsellers! Large products like cars, camper mobiles, boats and furniture are more and more sold online via webshops and online marketplaces. Interactive, 360° shots are the ideal solution to stand out of the crowd and to present the objects in a perfect way. Additionally, the playful aspect of these kinds of images invites your website visitors to stay on your page and to focus even more intensely on the particular product. We offer you the full package for the production of 360° object shots: From the fully automatic turntable from XY Imager to professional lighting technology from Hensel, you receive your individual studio, and everything is coming from one place. The system is reliable, efficient and easy to use – operable even by persons without a photographic education. WHAT ARE THE ADVANTAGES OF 360 DEGREE SHOTS OF MY VEHICLES? Additional revenue is possible by offering services like vintage car photography! What does a high-end car photography studio from Hensel & XY Imager include? 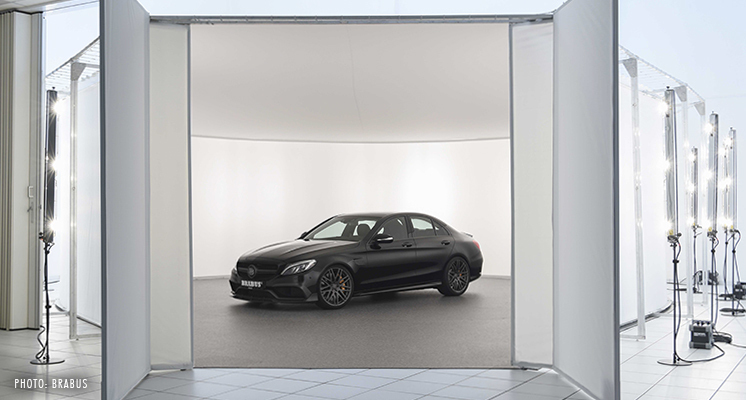 Our car studios are modularly designed to match your individual wishes & needs. We are happy to advise you on the full package solutions for 360° product shots! Just get in contact with us, so that we can create together with you the perfect studio for all your needs. Further information about XY Imager car turntables is available here.